Netting is a traditional bead-weaving technique and if you’re starting out, it’s a very good technique to try. It works up very quickly and its thread path is actually very simple. As you are about to read, there are also a lot of different variations on the netting technique, so it offers a lot of creative potential. 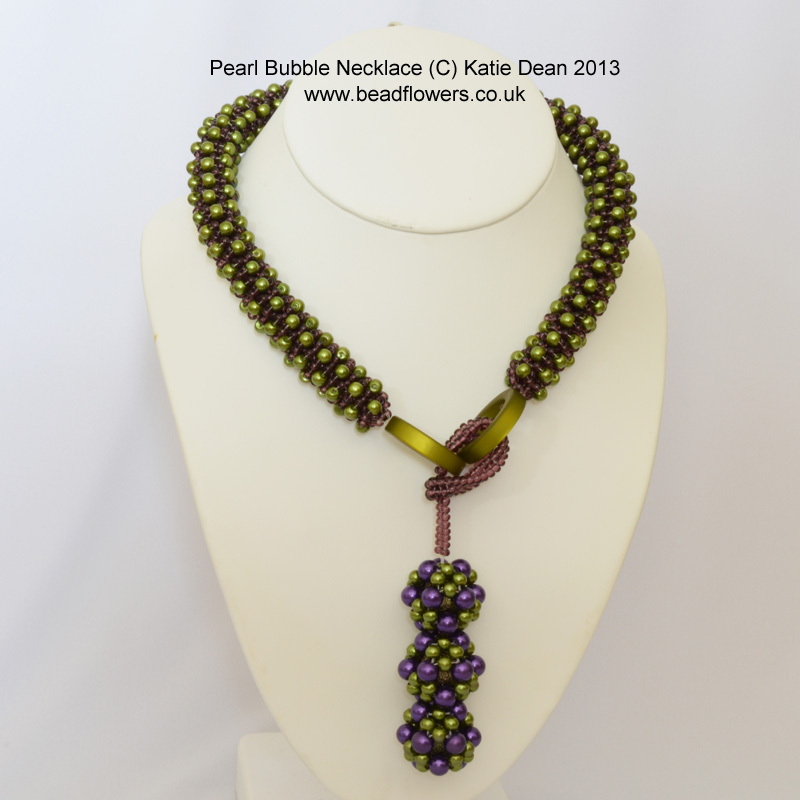 Netting, as you might expect, creates a very loose, flexible beaded fabric. You can make simple flat netting, which can be used for a choker or a cuff style bracelet. 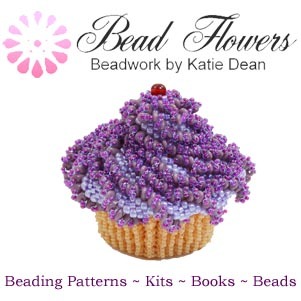 The idea behind the stitch is to start with a strand of beads, then work back along the strand, picking up an odd number of beads, skipping the same number of beads in your base strand, and then passing through a single bead. Repeat this all the way along the row. As you work back along the next row, you pick up the same number of beads, but pass through the centre bead in each the nearest stitch from the previous row, and so forth. If this is drawn in a diagram, this is how it will look. As you work, the rows adjust themselves to create the netted effect. It is possible to create a flat piece of netting and then join the two ends to create a tube. 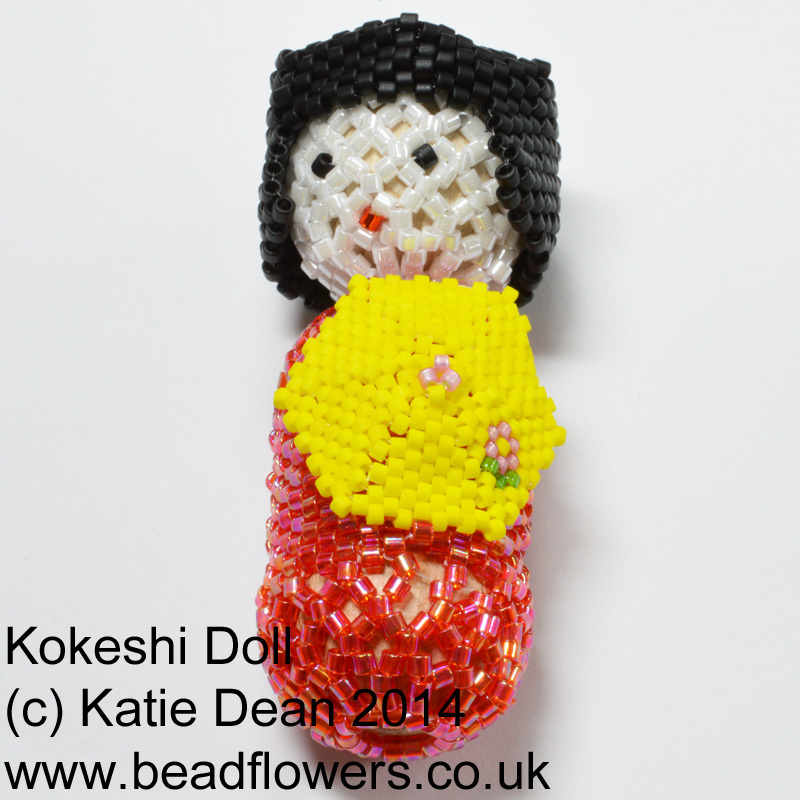 Taking this one step further, you can join the ends of the tube and use it to cover a large round bead, as I did to make the head for my Kokeshi doll. You can also shape flat netting. 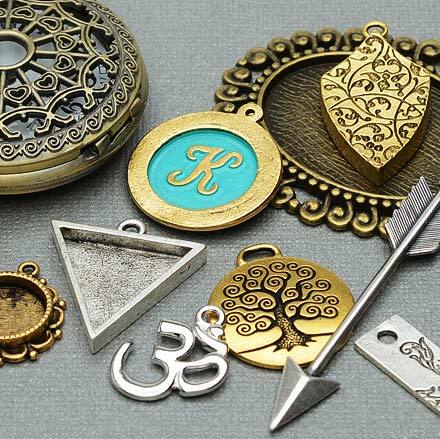 This technique is commonly used to make necklaces. It is not always easy to get the increase pattern right, but when you do, the netting creates a full circle around the neck which looks very beautiful. If you manage to get the curve wrong, then you will end up with a frill! The same technique is frequently used to cover Christmas baubles. 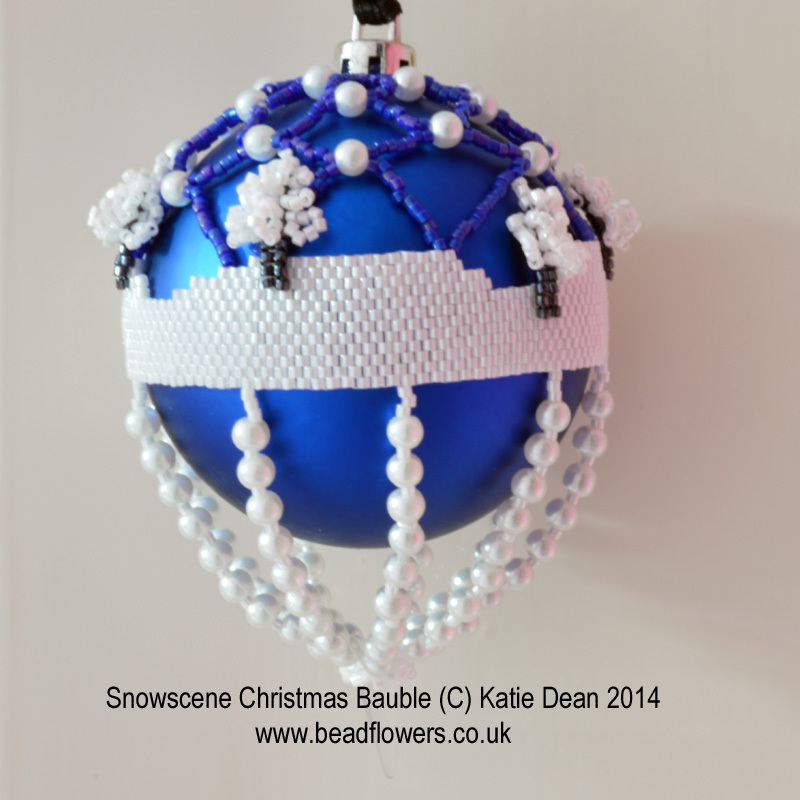 The photo shows an upper area of netting joined onto a peyote strip, with fir tree embellishment, but the netting can be taken all the way down the bauble if you choose. I am also a particular fan of tubular netting. 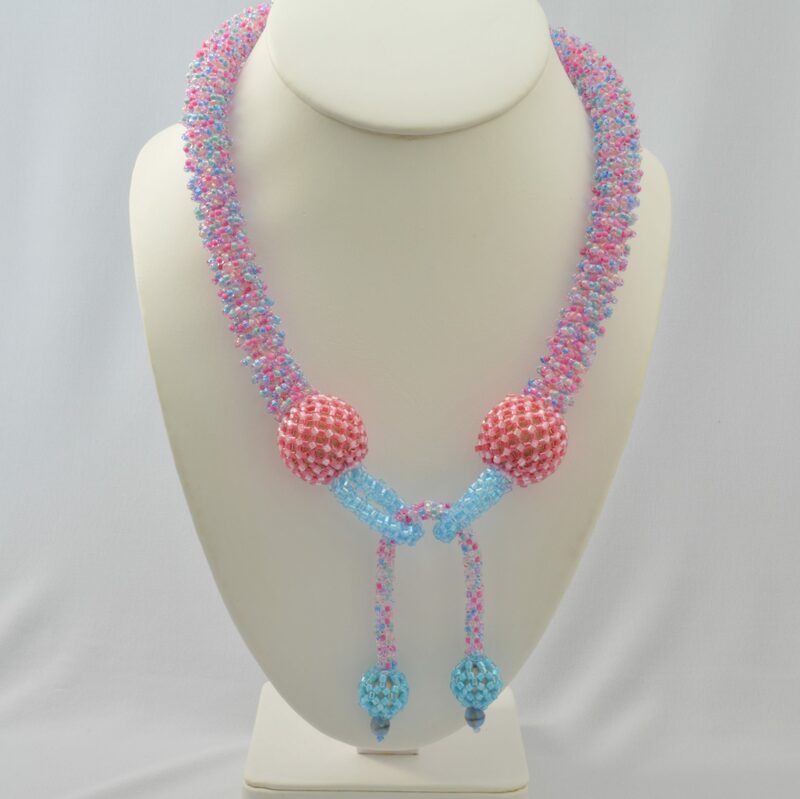 For this technique, the initial row of beads is a circle and you keep working rows around the circle to grow the tube vertically. 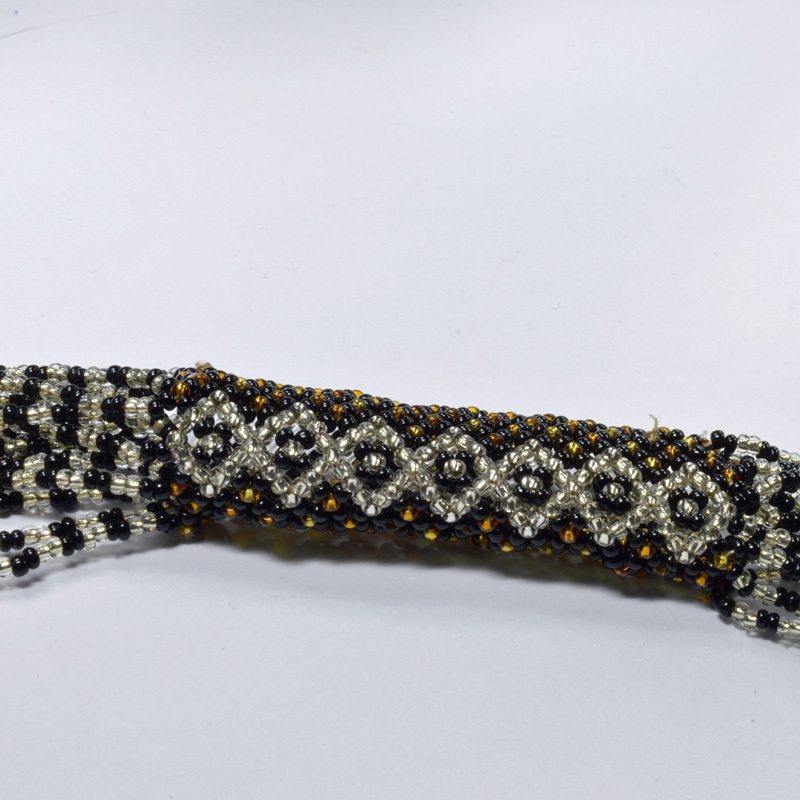 You can add patterns into the tube – this is a common feature in African beadwork. However, be warned, the tubular version requires you to ‘step up’ at the end of each row, so it can be a little tricky to both read and create the pattern. The step up means that you will be moving round the tube with each new row, so you have to work out how to also move around your pattern. The results are well worth the effort though, as you can see from the netted tube in the photo. The loose structure of netting makes it very easy to embellish. It is possible to add layer upon layer of netting to create a very tactile effect, as I have done in my effects using the layered technique with pearls. 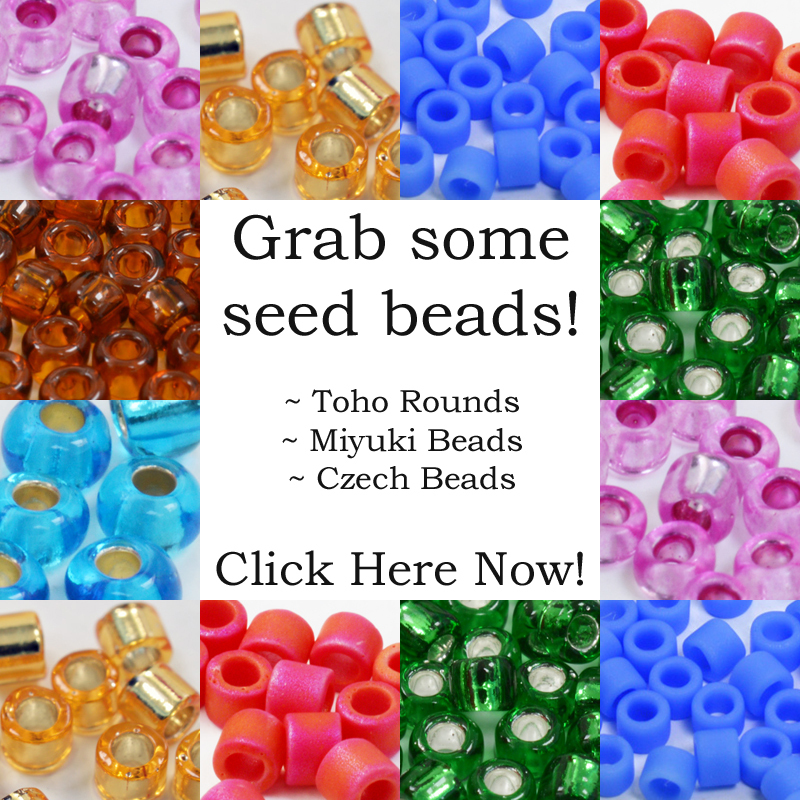 Twin hole seed beads also present some interesting options for netting. As with many other bead-weaving techniques, netting can be joined seamlessly onto other stitches. 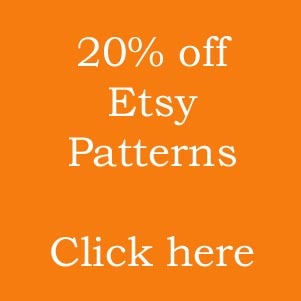 You can add a single row of netting from the side of a section of peyote stitch or the top of flat brick stitch. This is often called a ‘picot edge’ and is handy, and easy for creating interesting finishes to your jewellery. 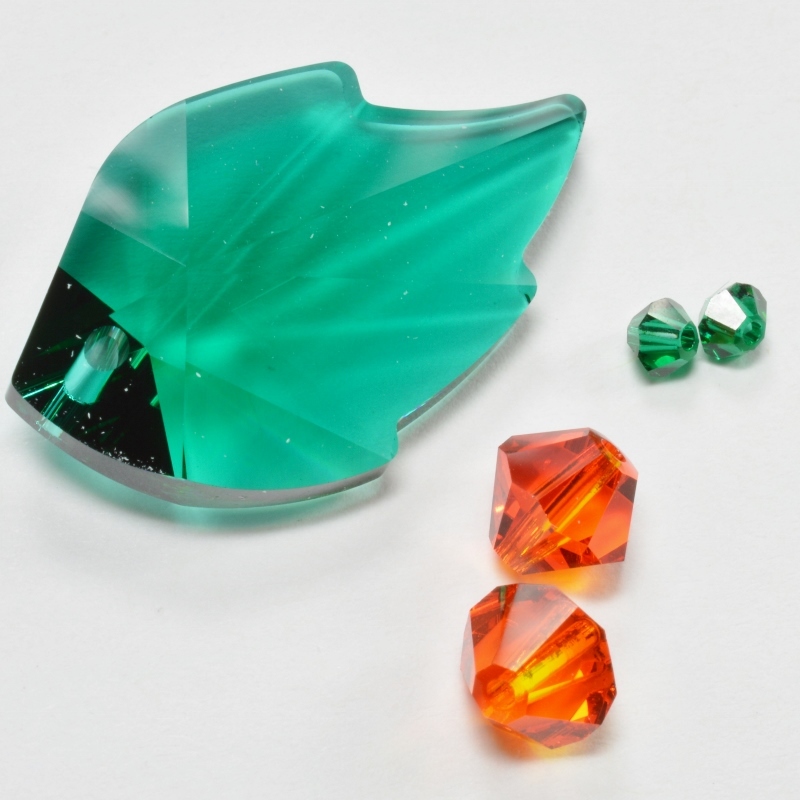 Netting is also very useful for a quick method of beading around a cabochon or Rivoli. It is fairly easy to shape it to hold the stone in place. Going back to a comment I made above, about creating frills if you miscalculate the increase pattern, there is actually a variation of netting that deliberately does this. 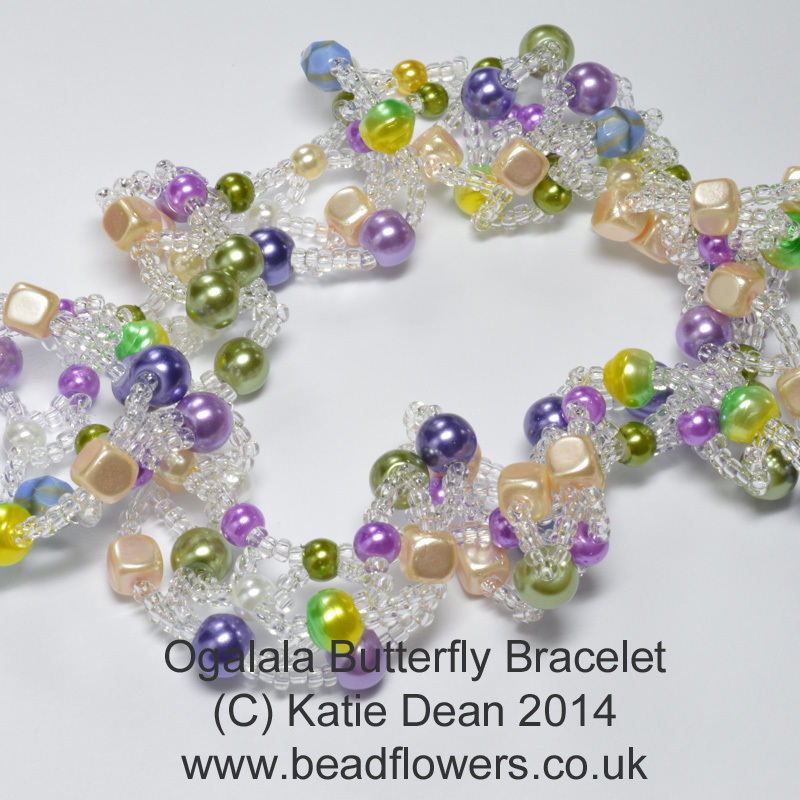 Ogalala stitch mixes different bead sizes and creates a deliberately intense increase to give a frilled effect. 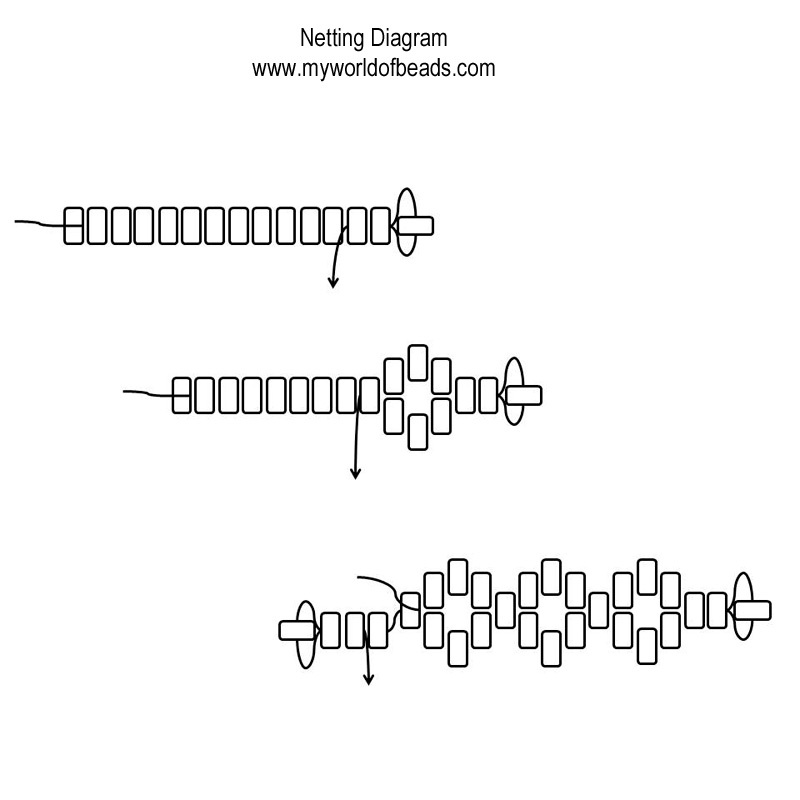 This is a particularly easy way of starting with netting as the ‘contrast’ beads mark the linking points in each stitch, so you don’t even need to count which bead to pass through! If you have enjoyed this and want to find out more about netting, this magazine-style book gives you three projects to try (not available anywhere else) plus articles about the tools and techniques you will be using…and much more! You can view a preview of a selection of pages below. To buy a copy, just click on the shopping trolley icon below the preview pages.